India, with its varied cultural and religious backgrounds had attracted and is still continuing to attract so many people around the world. The different languages, geographical variations and warmth of the people and above all people from various cultural and religious backgrounds living together in harmony is what makes India “India”. Keeping all these things aside there many more facts that are amazing about India, let us look at them. 1. India has the world’s largest road network spreading about 1.9 million miles. 2. Chess was invented in India. 3. 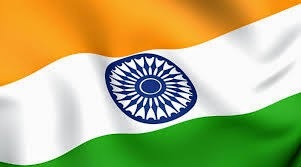 The largest population of the English speakers in the world is India. 4. Many countries invaded India, but India never invaded any country. 5. The number zero was first invented and used in India. 6. The Largest numbers of vegetarians in the world are Indians. 7. The most visited pilgrimage in the world is in India and it is Tirupathi. 8. The first garden tomb was built in India and it is Humayun’s Tomb. 9. Maha Kumbha Mela is the largest religious gathering in the world. 10. India is the largest buyer of gold in the world. 11. The origin of the game, Snakes and Ladders is in India. 12. The decimal system was invented in India in 100 B. C and the first mathematician to calculate PI was an Indian named Baudhayana. 13. Indian IT populations are highly sought after all over the world. 14. India exports software to 60 countries around the world and is one of the largest software exporters. 15. The origin of many martial arts is in India.